For me, this book is so bittersweet. 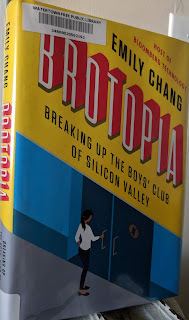 While The Wayfarer Redemption trilogy (the second trilogy) in the series had a full sense of closure (in fact, I was at first surprised when Douglass returned to this fictional world), this book does not. It outright tells you that there is so much more that's going to happen. And that's all well and good, but unfortunately, Douglass passed away in 2011, which means those adventures are never to be written (at least, by her; there's a part of me praying she left outlines of books to come and her estate is just looking for the right person--maybe one chosen by prophecy--hahaha--to pick up the pen on her behalf). So in that regard, the book's entire movement feels like an act of reluctant engagement for the fan-reader because it ends (the book) but it doesn't (the adventures) but it really does (because we never get to know what those are). I published the first post in this series back in March--about five months ago. I thought I had already read a good deal of books on the subject and thought to some degree that I had a good list. 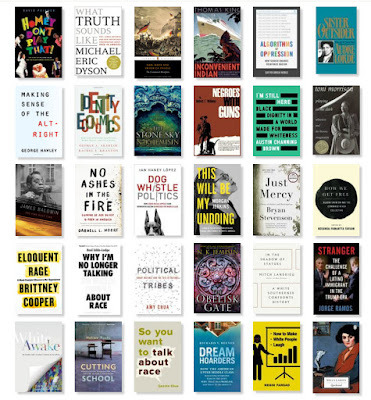 But in the five months since, I've read another thirty or so books that would fit on this list, so I thought I would have a final-final post on the series--not on reading topics that address whiteness, racism, white supremacy, and people of color's struggles and resistance against systematic white supremacy, but just a thought about the process and reasoning behind it all.